Presented with Comcast NBCUniversal's LIFT Labs. Our LIFT Your Story series aims to help start-up founders, managers, and executives to refine their company’s mission and brand through proven storytelling techniques. These interactive workshops are free and tailored specifically toward new or launching start-ups. When most entrepreneurs think of pitching, they envision themselves stuttering their market value or plot points to a tank of sharks who hold the fate in their hands. However, pitching begins the moment you commit to your vision in the form of written words that evolves into conversations with you will have with potential investors, collaborators, or partners. This workshop aims to help you develop a strong narrative framework for your pitch, big or small. Dessy Levinson is a story expert, investor, and creative director who balances reason and creativity to make investment decisions that are driven by both metrics and vision. She is passionate about nascent technology and digitally-native consumer brands, leveraging her advertising and entrepreneurial background to assess companies in those verticals. Dessy spent fifteen years as a creative director, acquiring a deep understanding of the digital consumer mindset while leading marketing initiatives for Colgate Palmolive, Gerber, Century 21, Mall of America, and A&E, as well as for grass-roots viral campaigns in entertainment. She now deploys her experience to assist portfolio companies by creating strategic narratives that empower fundraising, customer acquisition, and hiring. She currently serves on the advisory boards of The Women in XR fund and MAP Lab and is a mentor at ERA, TechStars, Combine Accelerator, The French-American CreativeLab, and Cornell Tech's Startup Studio. These interactive talks and workshops, led by a range of multi-faceted creators and entrepreneurial educators, will demonstrate how the core foundations of narrative form, structure, character, and more can apply to any effective start-up strategy: whether it’s pitching to potential investors, strengthening your “origin story” for marketing, or conducting smart digital media practices, understanding your story is key. The LIFT Your Story series runs events concurrent at Comcast NBCUniversal’s new LIFT Labs in Philadelphia, and the Made in NY Media Center by IFP in Brooklyn. 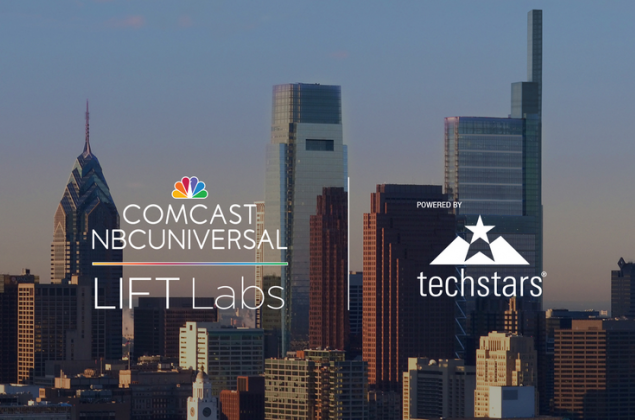 Comcast NBCUniversal LIFT Labs is a collection of programs that give talented entrepreneurs access to the company’s renowned network of partners, brands and mentors to foster rapid breakthroughs in media, entertainment and connectivity.